Congratulations on your engagement and welcome to wedding planning! While most of my posts are aimed at cake decorating enthusiasts, I thought I'd dedicate a post to the brides trying to make sense of selecting a cake artist/ bakery and cake for their big day. For a long time, cakes really weren't on my radar. I thought all wedding cakes were more or less created equal (and mediocre), and I certainly enjoyed my share of box mixes and funfetti and grocery store cakes. Now that I've spent some years really exploring baking and cake decorating, my perspective and standards have obviously shifted, but that doesn't mean that you as the client need to change your perspective! In this post, I offer some honest advice without too much of a bias, based on my experience. Here are some important questions to ponder. What role is your cake going to play? You may find that some of those bullets are more important to you than others. For example, you may have your heart set on an alternative dessert, or you prefer different decorations to be the focal point in the room, but understanding the options can help you figure out where to invest the most money. This cake looked right at home in a rustic setting surrounded by a dessert bar. This cake's impressive height and taste were definitely a topic of conversation. Well, that depends. You may read all this, decide that your main priorities lie elsewhere (like photography), and decide to go with a grocery store cake-- there's nothing wrong with that! It's like buying your wedding dress-- you might choose to buy something more mass-produced, or you might really want to be treated like a princess during your buying process, or at the highest-end, have something made custom just for you. Any of the above are viable options, but realize that as you work your way up the ladder, you need to budget more. To give you some specifics, it is difficult to find wedding cakes available for less than $4-5 per serving from commercial bakeries, and that is assuming a buttercream cake (not fondant). Remember that one of the cake's roles is a dessert-- you can't buy a piece of cake from a chain restaurant for less than that, and that cake arrived frozen and mass produced. This means that if you have 200 beloved friends and relatives coming to your wedding expecting to enjoy some wedding cake in your presence, you're looking at NO less than $800-$1000 unless you choose a chain grocery cake or use the tactic from the next paragraph. Regardless, some bakeries and cake studios have a minimum order ranging from $250 to $1000, so do watch for that as well. If that seems prohibitive, you can always buy a smaller wedding cake and some additional sheet cakes, which are more cost effective, to boost your number of servings. What you should NOT do is buy the two from different bakeries, i.e., don't buy a lovely smaller wedding cake from bakery or home baker and then buy your sheet cake from the grocery store; this means that the grocery store cake could be passed off as that from your other baker and affect their reputation adversely. Many cake artists have provisions in their contracts that specifically prohibit this. While some may allow it, it would be much better to ask your wedding cake maker to make the sheet cakes as well so that all of your guests receive the same high-quality dessert. Fondant allows for a beautiful, fabric-like surface finish and gives a cake decorator many options not always afforded by buttercream cakes. It is more expensive to buy or make than buttercream, so expect to add an extra $1 or so per serving for flawless fondant. How does it taste? A lot of it is pretty good! 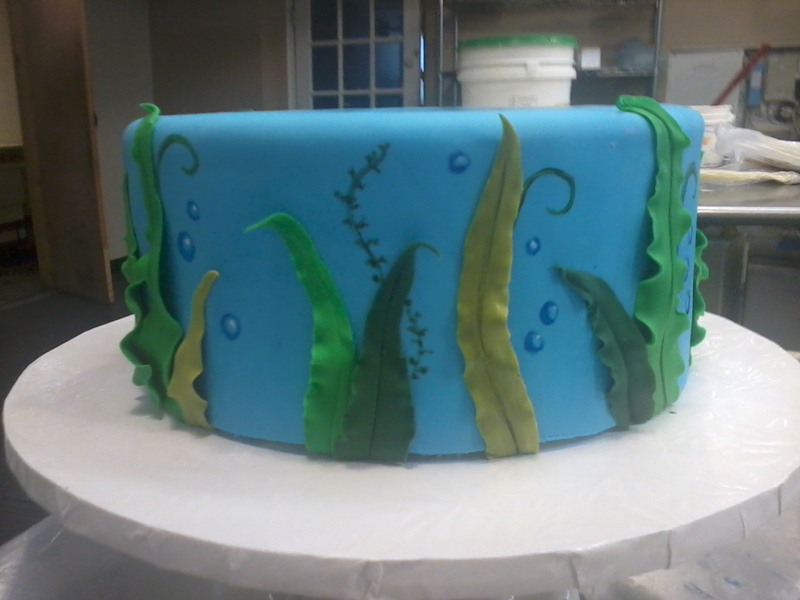 Many rumors fly about regarding fondant, but the truth is, the flavor varies by brand. The most premium fondants are the most expensive, but many varieties are available. If you're concerned, ask to taste the fondant! That said, it is very easy to eat a slice of cake and just leave the fondant over if you're not excited about it. 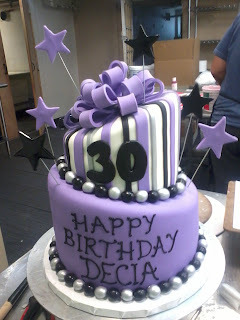 The ivory fondant on this cake gives it a smooth, uniform appearance. That's it, I'm buying a cake from a grocery store. Okay, no problem-- this might be the right choice for you. Let me give you a little more information about what you're paying for (and not paying for). The cakes are usually made out of house, flash-frozen and delivered to the store. They are then defrosted before your event, but they could be on the order of months old. You can also expect non-perishable buttercream, which is very sweet, basically just shortening and powdered sugar. You can also expect artificial vanilla extract and other faux flavors and preservatives. As far as the decorating, you could get lucky! 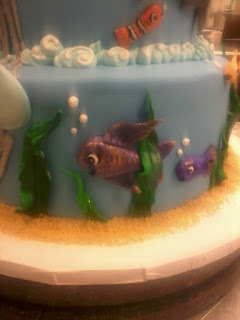 There are some VERY talented decorators hiding in grocery stores and chains. 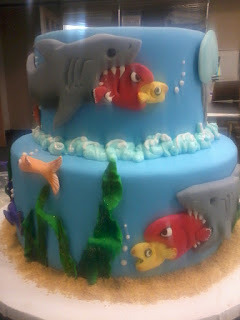 However, you could also get a cake straight from Cake Wrecks. It is risky, as you may not know who is going to do your cake. Most cakes at grocery stores are decorated in about 20 minutes. One significant risk factor is that the cakes they publish in their catalogs are often made by one of their top decorators or even an outsourced professional decorator, and the in-house decorators are expected to copy that person's work. Needless to say, this doesn't always go amazingly well, so if you are a perfectionist, this is something to keep in mind. That said, grocery stores are offering more and more options at additional cost, even gum paste flowers. You've decided that taste is a priority-- you want your cake to be a delicious dessert for your wedding guests. Good choice! But how do you find the best tasting cake? Many bakeries offer tastings, but if you're going to a more private cake studio, the tasting may not be offered until you've given them a deposit. More on the bakery vs. cake studio in a minute. Either situation is okay-- go to some commercial bakeries and maybe buy a few cupcakes or ask for a sampling if they offer free ones so you get an idea of what you like. 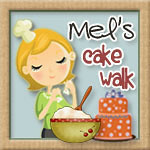 If you commit to a cake studio and THEN do your tasting, don't be afraid to speak up! 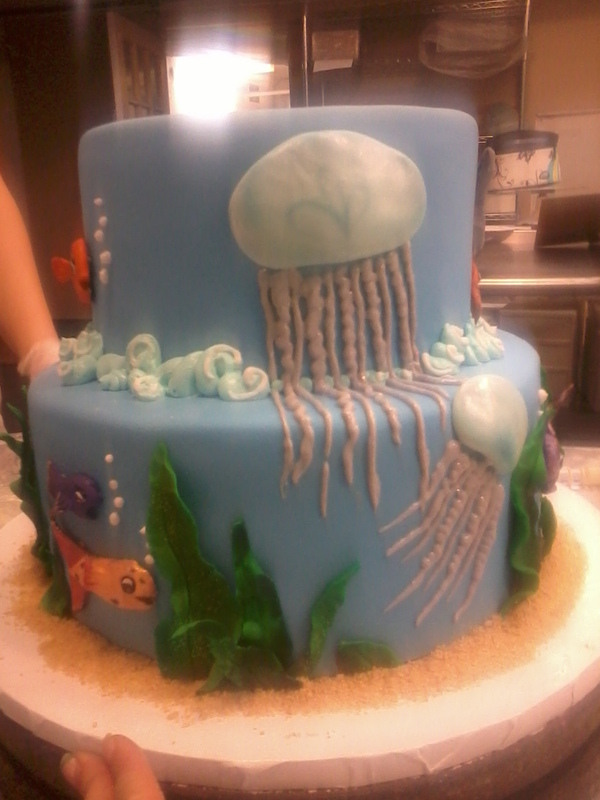 If you don't love the tasting cake, communicate with the cake artist-- it's likely that they can tailor their recipes or choices to your needs because they are a smaller operation. This is obviously a luxury you pay for, but they want to make you happy! What makes cake taste good? Premium ingredients (real butter, real vanilla, good chocolate, fresh fruits, etc.) are key. I personally like to use a good flavor splash with a premium liqueur to help add additional moisture to the cake, but obviously these come at a cost. 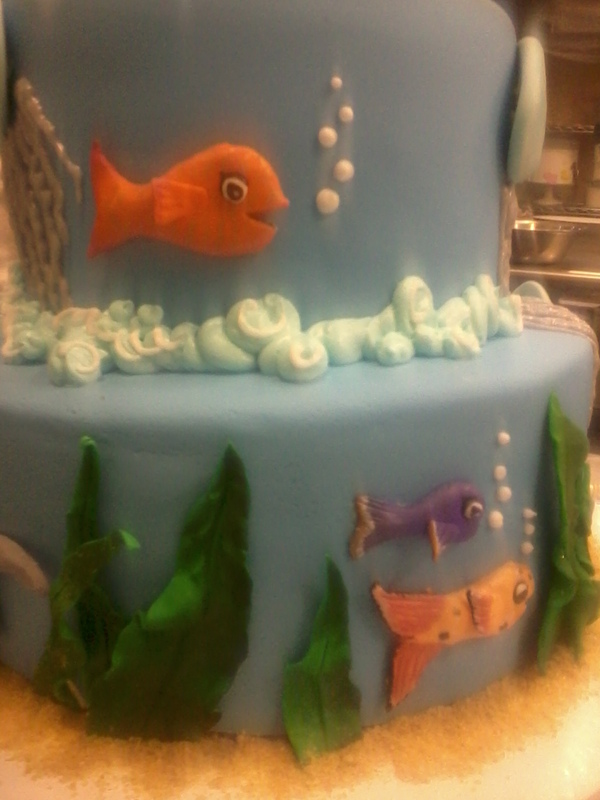 Ask your cake artist for recommendations, they'll be happy to guide you through the process. Do you want to just pick a design out of the book or off the internet and get it duplicated? There are plenty of bakeries that will do just that. If you're willing to go the extra mile, find a cake artist with some vision who can help you design a cake that's one of a kind for your event. 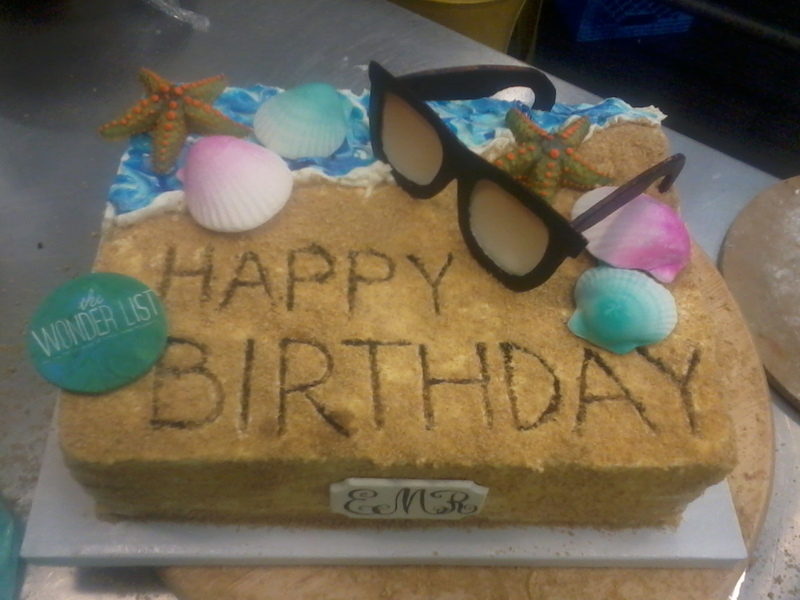 If you're going the custom route, it is very important to bring your cake artist information and inspiration. How big is your venue? How tall is the ceiling? What does your dress look like? The invitations? What are your colors/ and flowers? What color are the bridesmaids' dresses? Is your wedding very traditional or very modern? Do you have a tight budget constraint? A new approach is to share your wedding Pinterest board with your cake decorator; that way they can draw on all sorts of ideas. 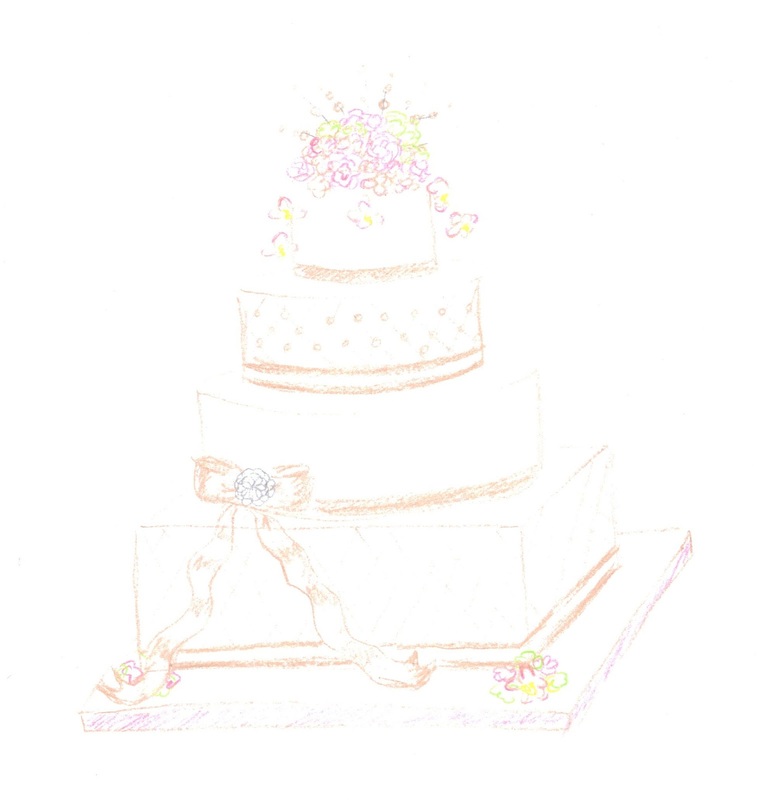 Many custom cake studios will provide you with at least a rough sketch and a quote, but some will wait until you've placed a deposit or will charge a fee for the sketch. This prevents you from taking a sketch from one artist to another and trying to beat the price quoted. 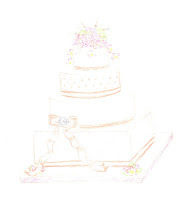 Researching your pictures and creating the sketch can take hours, so it is not unusual for cake artists to try to protect their work and their time. Sketches and their respective wedding cakes. Is it cheaper to use fresh or silk flowers and non-edible decorations? Usually. Why pay the premium for the edible versions? The answer is only partially 'because it's so cool.' There are some very good reasons to use edible decorations. For example, fresh flowers are often treated with chemicals and are sitting in a bucket of potentially dirty water. If you do use fresh flowers, try to settle on a design that doesn't require the stems to be stuck directly into the cake-- there are floral spikes that are designed to keep the flower stems out of the delicious cake that you've paid so much for. 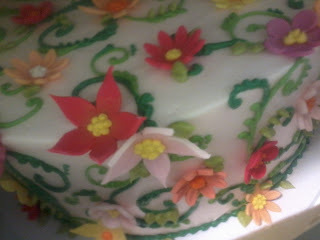 By using edible decorations, you also don't have to worry about the caterers cutting/ serving any portion of the cake. Are gum paste flowers expensive? Yes, they are. And they're more difficult to arrange, so a cake designer has to charge for the labor. However, you can keep them! 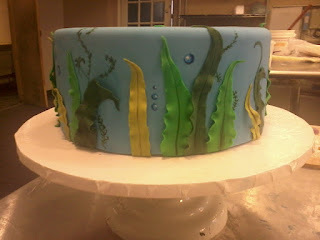 It's easy to have a gum paste topper that is easily removed from the cake and saved indefinitely in a dry place. Also, you can buy one large stunning flower or just a few stunning flowers for less than you can buy a whole lot of smaller flowers, so it's easy to create a beautiful focal point without completely breaking the bank. This large gum paste peony would look stunning as a stand-alone flower. 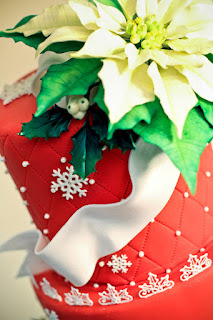 A gum paste poinsettia serves as a focal point. This gum paste topper was easily removed and boxed up for the bride to keep. 1. Serving sizes vary!! One bakery might bill a 6-8-10-12" round wedding cake as 150 servings (or more) and another might bill it as 100. Standard wedding cake serving size is 1x2x4, but make sure you're getting good bang for your buck! One bakery might have a lower per serving price but give you a lot less cake. 2. How many layers per tier are you getting? Some bakeries give only two layers of cake/ 1 of filling. 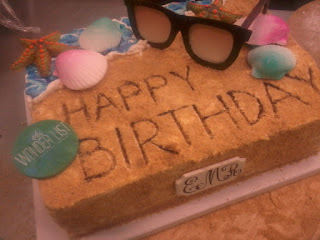 Others give as many as 4 layers of cake/ 3 layers of filling. This affects the labor, the moisture, and the classiness of the served cake, so know what you're getting! 3. Some fillings/ liqueurs/ fresh fruit may cost extra! Before you decide if one bakery is cheaper than another, see what you can get for your base price and where the premiums are incurred. 4. Check the portfolio! 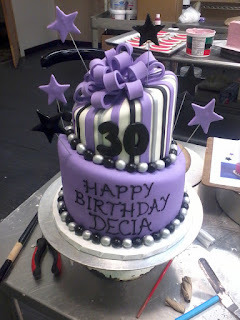 Make sure you see picture of the cakes made by that particular bakery or cake artist so you know what quality work you are getting. 5. Don't forget delivery! Some bakeries charge for delivery, some will offer free delivery within a certain range. 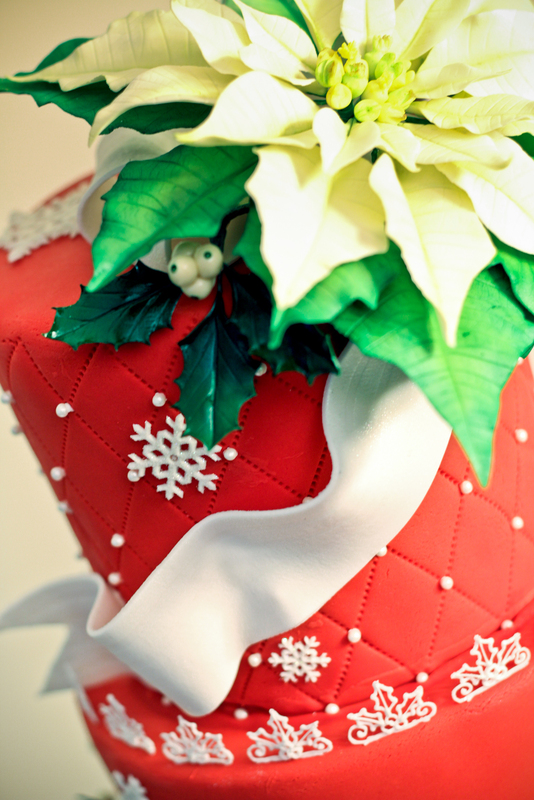 Delivery and set up fees can add up, so take this into account when pricing your cake. Last week and this week I started working half-time at Highland Bakery in the Old Fourth Ward in Atlanta. Bearing in mind I only had my cell phone camera (and that I'm one of the last people in the US to not have a smart phone), I thought I'd share some of the cakes I got to work on! 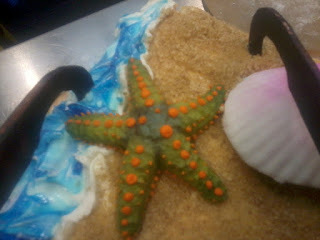 The client wanted some very specific starfish, which I made from green gum paste with orange piping. Heidi did an amazing job on the logo, and Karen an amazing job on the monogram. This week I spent about an entire day working on this topsy-turvy number. Mary had already done some work on it, cutting the cake angles and making the balls and bow loops.